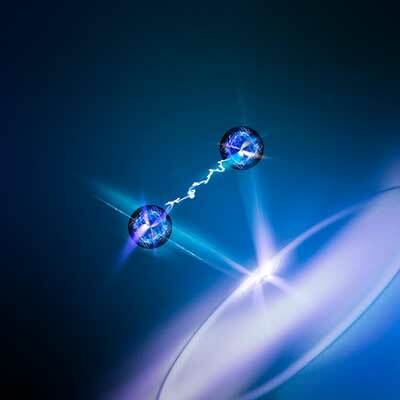 (Nanowerk News) A new model developed by RIKEN researchers explains a mysterious behavior of atoms discovered by Swiss scientists. The model could help provide clues about the fundamental nature of matter (Physical Review Letters, "Anomalous transport in the superfluid fluctuation regime"). Scientists at ETH Zurich in Switzerland studying atomic gases created two reservoirs of magnetically trapped fermionic atoms (atoms with a pseudo spin of one half). They connected these by a quantum point contact, which narrows the flow of electrons between the reservoirs so that the electron transport is effectively only one dimensional and transverse motion is limited to that allowed by quantum mechanics. This leads to quantized conductance—that is, flow through the contact increases in discrete steps. Such transport measurements are the workhorse experiment of condensed-matter physics. Measuring the flow of electrons between two electrodes and how this is affected by external influences such as magnetic fields and nanostructures has helped determine the properties of superconductors and materials in the so-called quantum Hall regime. Having set up their quantum point contact, the Swiss scientists measured the particle conductance—a measure of the number of particles that flow through the contact—and the spin conductance—the net spin of the particles flowing through. They discovered that when the atomic gas is almost in a superfluid state, the particle conductance is enhanced but the spin conductance is suppressed. This runs counter to what was expected. To better understand this strange behavior, Uchino and his colleague Masahito Ueda developed a model for describing conductance through a quantum point contact near the superfluid regime. Their analysis indicates that before going through the quantum point contact, some of the fermionic particles can form pairs, or bosons, with no net spin. This explains the results seen in the Swiss experiments.